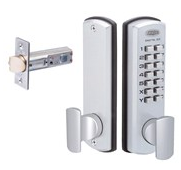 Gronbek Security provide electronic access control systems which have advantages over many mechanical locking systems. 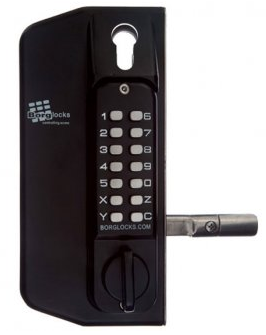 These include RFID swipe cards, Mifare card systems, biometric readers, pin password locks, proximity cards and fobs, and wireless Bluetooth systems. The main advantage of these systems is that they can instantly identify and permit access to the correct authorised person whilst denying entry to unathorised persons. Access control systems have features such as time zones to restrict access to certain people to certain times, and provide audit trails for monitoring and reporting of events.